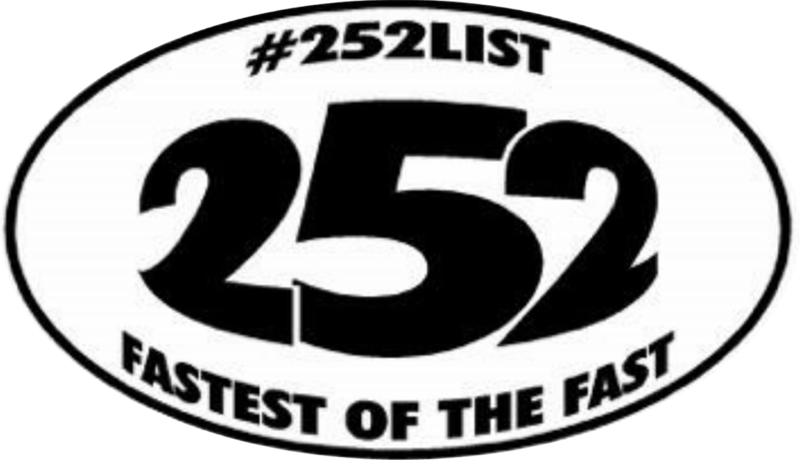 to start the top ten of the 252 list! Rain date will be Saturday, March 17th! 1- Car and Driver Must reside in Eastern NC (See Provide Map). 2- Must have steel roof & Quarters. 5- No full tube chassis. 6- No Electronic Traction control. tech to make sure rules are met. of the month for a winner. To go for the 10 spot on the next list race. List cars can't fall more than 2 spots per list race. Also can't run for same spot more than twice a list race. There is a $50 minimum call out per spot and a max of $500 per spot. Call outs can be done the night of the list race through the race master. Call outs on social media will also be accepted. If multiple list racers are tag in post.